DCS have a long service agreement with a prominent University in the Midlands. As with any established University, the site water systems are extremely varied and in some areas out of date. Various water monitoring tasks were highlighted by DCS and are now carried out on a weekly, monthly and annual basis. DCS was instructed to ensure that the University was implementing a high standard of compliance; as a result a priority rating system was employed and DCS assisted in offering solutions to rectify issues as a when they appeared. One such problem that appeared was a tank providing hot water to accommodation areas. The deterioration of this tank was substantial; there were internal signs of cracks and biofilms; samples showed a high bacteria count in the water; the isolation valves were failing; the area around the tank and the tank itself was not secure or accessible to clean and there was a subsequent ingress of invertebrate. The University asked DCS to deliver various options for replacement, ensuring compliance with the regulations. 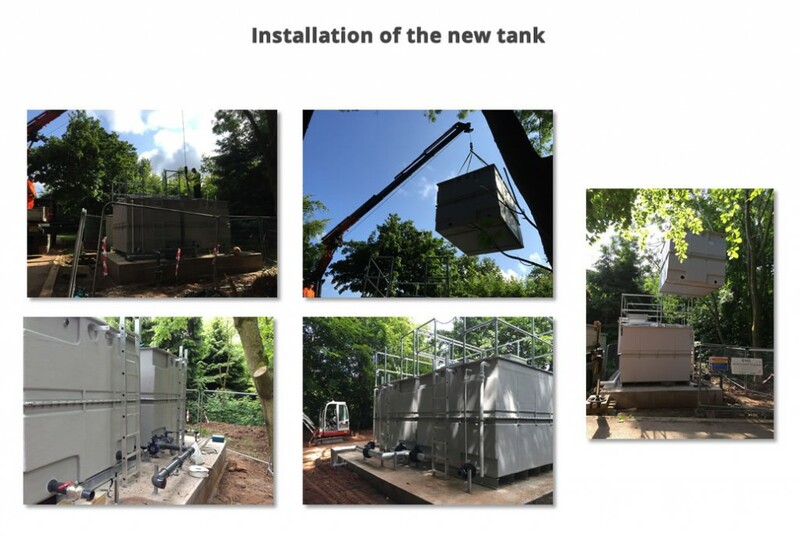 An obstacle DCS had to overcome was this was the only tank which provided hot water to the whole accommodation block, therefore it could only be cleaned when the whole block was out of use. Immediately the water quality was improved and DCS were praised for the work achieved. Also all tasks laid out within the ACOP L8 are now carried out on this site, returning satisfactory results.